HPSC Assistant Professor Exam Admit Card 2016 Download Hall Ticket @ hpsc.gov.in : Haryana Public Service Commission (HPSC) is going to conduct written examination for the recruitment of Assistant Professor (College Cadre), HES- II from 30th June to 7th July 2016. Those candidates who had applied for the post of Assistant professor can download the admit card from the official website of the Commission. The admit card is available on 15th June 2016. 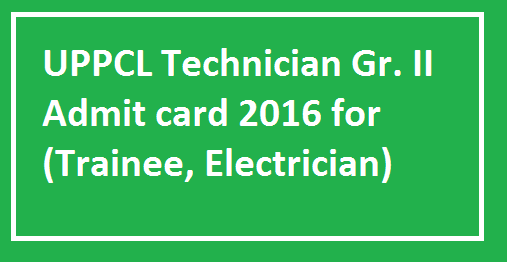 Candidates can get the HPSC Assistant Professor 2016 Admit Card from the direct link provided below for the same. About HPSC: The State of Haryana came into existence under the provisions of Punjab Re-Organization Act, 1966 (No. 31 of 1966), with effect from 1st November 1966, when the Haryana Public Service Commission also came into existence. Public Service Commissions, both at the Union and at the State level, are amongst the most important Public Institutions with long traditions which have served well. The Public Service Commission of India was set up on 1st October 1926 under the Chairmanship of Sir Ross Barker. How to Download the Admit card for HPSC Assistant Professor 2016 Examination: This year HPSC released the notice regarding recruitment of Assistant professor and invited the desirable candidates for the post. Those candidates who had the applied for the post of Assistant professor can download the admit card from the official website of the Commission or a direct link is provided below for the same. All candidates are advised to read the instructions carefully which are mentioned on the admit card because it contains the details about the time, venue, and date of examination. It is compulsory to bring the admit card at the time of examination. If one cannot bring the admit card, he/she will not be allowed to give the examination. Visit the official website of HPSC or a direct link is provided below for the same. 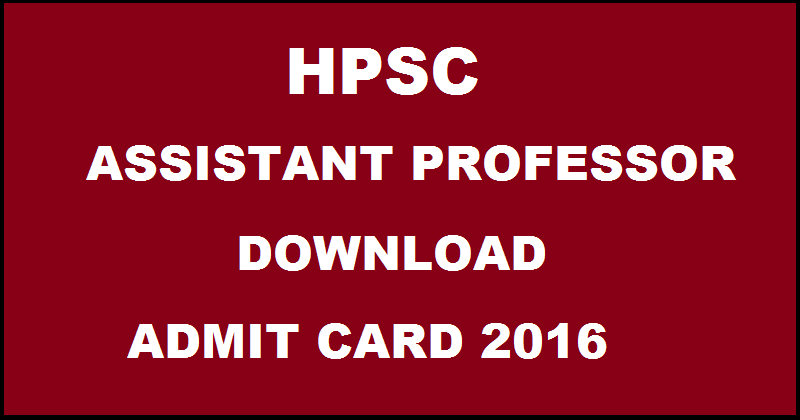 Click on “Admit card of HPSC Assistant Professor 2016 Examination”. Enter the required details in the provided fields and then press the submit button. Download it and take a printout of it for further reference. For more information, please visit the official website of HPSC regarding examination.